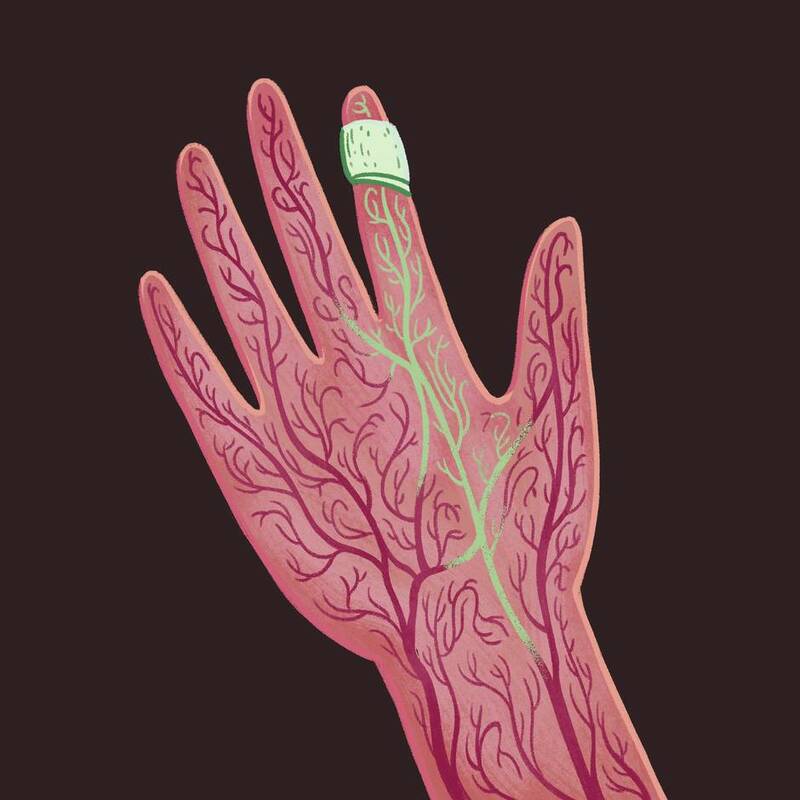 Six months ago, a finger infection almost killed me. The infection, which went through my blood stream, put me in septic shock. It also caused an aneurysm to rupture, a medical event that a doctor told me has a 90 per cent fatality rate for people in my age group. Who knew that a finger infection could kill you? I certainly didn’t. Previous to my experience, I knew very little about infections. I have learned the hard way that I don’t like them. Not only did this infection get into my bloodstream with potentially catastrophic consequences, it also ate a hole in my finger, exposing my finger bone. Amputation (the plastic surgeons refer to it as “shortening”) was considered, but fortunately, the decision was made to let me keep my finger. When I researched the Group A streptococcus infection I had, I discovered some interesting statistics: Apparently, an estimated 700 million Group A strep infections occur in the world each year, with 650,000 in the severe and invasive category. The mortality rate for these cases is reported to be 25 per cent. How do you explain the fact that a healthy 67-year-old individual like me gets an infection and almost dies? A few friends and members of the medical community resorted to “luck” as an explanation. They told me I was “unlucky” to get this infection but “lucky” to have survived what I can only describe as a horrific experience involving a week in a coma, three weeks in intensive care and 35 days in hospital over all. I understand the “lucky” explanation. Much of what happens in life falls well outside of our understanding. Attributing these events to a cosmic randomness is a convenient explanation for something that’s difficult to explain. The belief in luck, however, does not accord with my belief system. I have always believed in a rational and predictable world where cause and effect are linked, enabling us to control our destiny. To attribute events to luck has always seemed to me both arbitrary and capricious. Was I unlucky to get this infection? In my view, it was not luck, but rather information that was missing from this medical equation. I now know that if you cut yourself and don’t get the right treatment for your infection you can get very sick. I have learned that infections need to be taken very seriously because of the increasing number of antibiotic-resistant bacterial strains. And that early recognition, accurate diagnosis and effective treatment of infections are critically important. To say that what happened to me was owing to bad or good luck also diminishes the role that medical research can play in combating infections. In reality, we need medical researchers to continue working full-time to create vaccines and more effective antibiotics. Luck also has nothing to do with the fact that as patients with infections, we need to hold the medical community accountable for communicating with us about the dangers associated with these infections. I was prescribed an antibiotic that was ineffective for the infection I had and did not know to go back to the doctor or the hospital when it got worse. It’s not enough for a doctor to give us a prescription and send us on our way. We need to discuss with the doctor what to do should the infection not respond to the medicine in the next two or three days. As patients, we need information about infections so that we can engage in informed decision-making during the course of our illness. Was I lucky to survive this medical event? Clearly I know that my survival had nothing to do with luck. First of all, I had an excellent medical team at St. Boniface Hospital operating on and looking after me. The doctors, nurses, orderlies and other personnel there were simply outstanding in their professionalism and care. I also was fortunate that I had my wife and two adult sons sit with me while I was in a coma, holding my hand, imploring me to live and telling me they loved and needed me. Indeed, throughout this ordeal, family and friends played a crucial role in helping me by communicating with me and praying for me. Finally, a critical variable was that I was healthy and in good shape, probably in the top 10 per cent of people my age. I was healthy enough, for example, to withstand losing 3 1/2 litres of blood when many people die after losing two. There is no doubt that what has happened to me over the past six months has changed me. Physically, I am half-way through a recovery that will take at least a year. Emotionally, I have been on a roller coaster alternating between tremendous elation that I am alive and shock, denial and outrage about what happened to me and what my family had to go through as a consequence. The overriding emotion I feel, though, is one of gratitude and appreciation for the people who have been there for me throughout this medical nightmare. I spend some of my time trying to make sense of what happened to me. I think there are probably a number of explanations. Luck just isn’t one of them. Mac Horsburgh lives in Winnipeg.